USA Select National Championships is where you find the Best in the Nation. A place for Select teams, Associations, and Leagues to play. Come Play the Best, instead of Beating up on traditional rec teams. 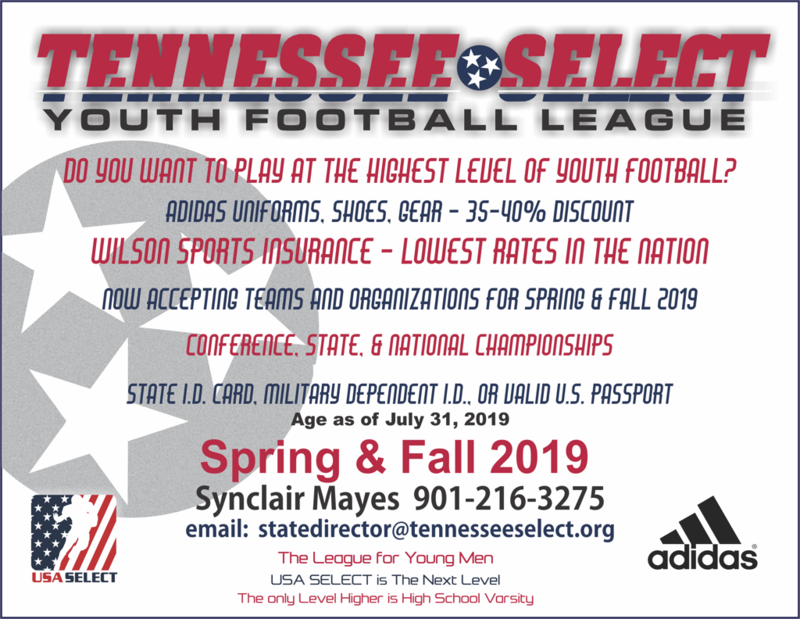 Click above to register for the 2019 season. This is only open to San Antonio area participants. Prep Select utilizes former, retired or inactive high school or middle school coaches as the coaching staff for its 12U division. Coaches are current member of Texas High School Coaches Association, F.A.S.T Certification, USA Football Certification, Background Check, Safe Sport Act of 2017 certification, and yearly Continuing Education Credits (i.e. Glazier Clinics). Prep Select teams have 30 player Rosters. 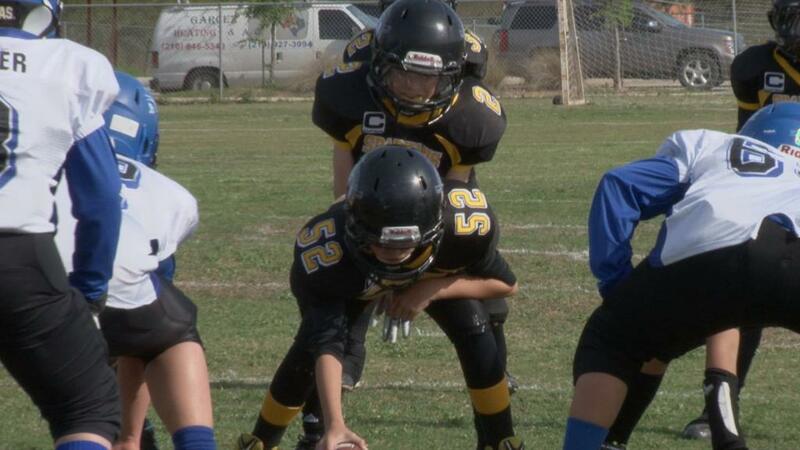 No Player starts on offense and defense. A player starts at the position drafted, and may only play as a backup in a position on the opposite side of the ball. Players are drafted to a team after a participating in a combine/evaluation day. A player may be drafted for a position that the coach feels they are better suited. Teams will play a 7 game regular season, on artificial turf field. Teams will practice 2 evenings a week, 2.5 hours per practice. Parents will NOT volunteer to work chain gang. Each player will receive 2 Season Pass Credentials (Passes) for the regular season only. (Does not include any preseason, playoff, or post season games). Registration fee is $500, Deposit of $100, balance payable in 4 installments of $100 over 4 months. See registration for details. USA Select, the Only Level Higher is High School Varsity. USA Select NYFL, setting the bar for the highest level of youth football outside of High School Varsity. All players must have a State issued Identification Card to participate. NO BIRTH CERTIFICATES HERE. Military Dependent ID Card or Valid U.S. Passport are also accepted as proof of identity and age. Rosters lock the last Friday of September, add players who have chosen to leave other leagues that are NOT USA Select members. Select and Recruit Players, Hold Tryouts, No Minimum Play Rule, and its all legal. National Federation of High School Rules, and USA Select variances. Players must have current year Physical. 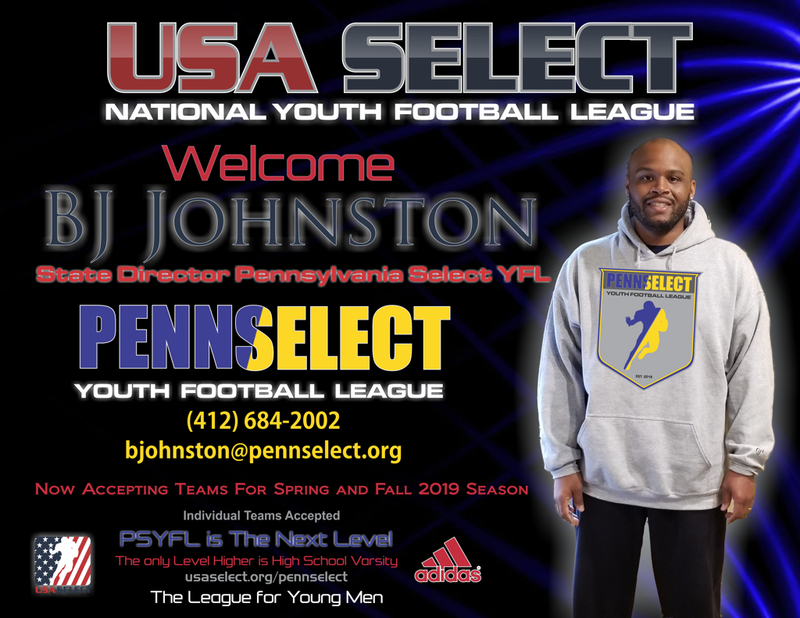 USA Select NYFL welcomes the newly formed California Select Youth Football League aka "CaliSelect" to the Inaugural 2017 Fall Season. Join USA Select for the 2018 Spring/Fall Season. Teams, Organizations, and Leagues will be able to begin registering soon. A single team, an organization of teams, or a league of teams are eligible to join. Upon joining, new members will receive a certificate of membership for the current season, or for the duration of years joined. Injury/liability insurance is available to all members at a discount rate from Wilson Sports Insurance . See "insurance tab" on top menu bar for more information. See "tabs" above in menu bar for your State league. USA Select is seeking State Directors. Must have great communication and organizational skills. Director will maintain State website, organize conferences within the State, schedule State playoffs, and other duties. This is a VOLUNTEER position. But has it owns rewards. Interested persons should email: info@usaselect.org and Subject: State Director (and which State). 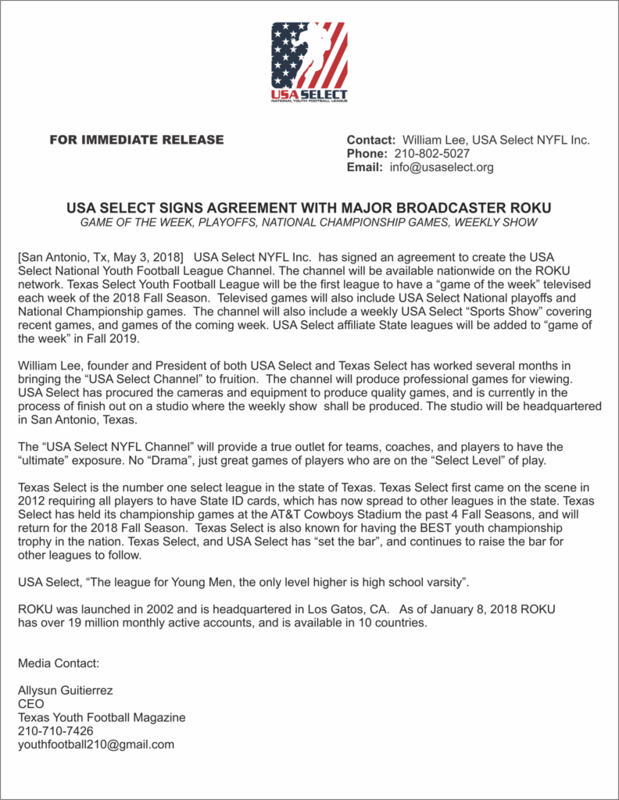 ©2019 USA Select National Youth Football League / SportsEngine. All Rights Reserved.